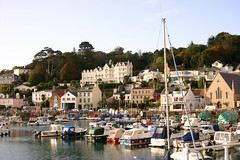 The island nation of Jersey is looking to use newly revised tax laws to entice high net worth individuals and wealthy tax exiles from around the world to settle down in the country. On July 22nd the Minister for Treasury and Resources of Jersey Philip Ozouf announced a newly approved revision to the nation’s tax laws, aimed at attracting greater number of international high net worth individuals to the island. Under the revised laws, overseas residents who have been granted permission to reside in Jersey under the country’s 1(k)(k) program will now be taxed 20 percent on the first JEP 625 000 of their incomes, and all subsequent earnings will only be liable for a 1 percent income tax. The tax liabilities will be calculated on the individuals’ worldwide sourced incomes, with no distinctions made about the regional origin of the money. The 1(k)(k) program was originally designed to allow wealthy individuals to reside on the island and purchase property. Previously, tax exiles moving to Jersey under the scheme were charged a 20 percent tax on the first JEP 1 million of internationally sourced incomes, and 10 percent on the next JEP 500 thousand of international incomes, and 1 percent on all subsequent incomes. In recent years Jersey has seen an average of five overseas individuals come to live in Jersey using the 1(k)(k) program. According to Philip Ozouf, under the revised scheme the number could be reasonably expected to increase to nearly 20 per year. The Minister went on to say that the revised tax laws should have additional indirect benefits of the island’s economy, as the new residents buy expansive properties, and engage local services.